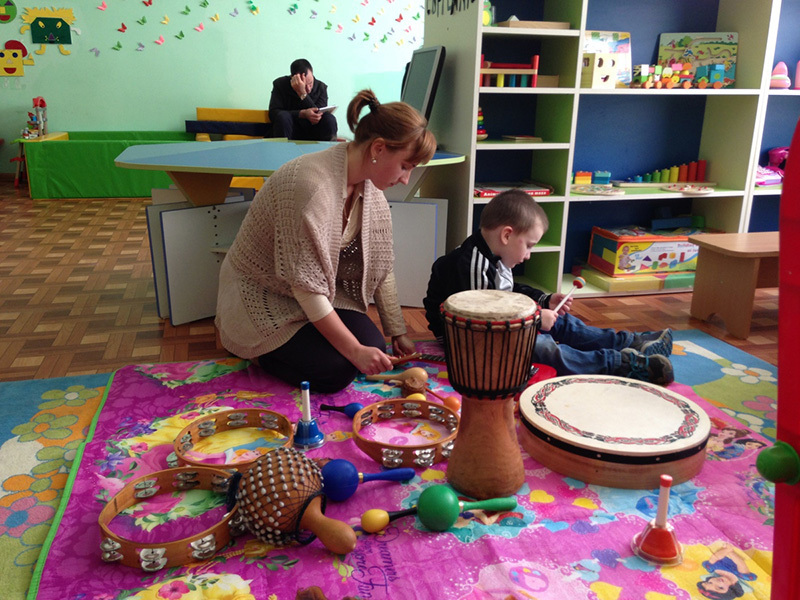 Launched in 2016, this project focused on improving access to early-years and preschool support for vulnerable children with special needs in five regions of Moldova. Working in partnership with Moldovan NGO Partnerships for Every Child and UK-based Mellow Parenting, HealthProm was responsible for designing and implementing a capacity strengthening programme for local professionals working with children with disabilities. This included trainings in the Makaton language programme, Portage (a home-based educational support approach) and Therapeutic Interactive Music Making. As a result of this work, the Ministry of Education has indicated its commitment to officially integrating these trainings into professional development programmes going forward. This is a notable achievement that will ensure the on-going capacity development of local professionals. Whilst this was our first large scale project in Moldova, we had been working in a small capacity there for several years beforehand building partnerships and facilitating knowledge exchange. In 2015, HealthProm organised a study visit to the UK by a group of Moldovan educators and policy makers as part of a small seed project. The aim was to observe the support services for early years inclusive education available in the UK with a view to informing the decision making process for implementation of such services within the Moldovan context. Recognising this as a key component for participatory learning and exchange, additional study visits were carried out with the support of our EC grant (2016-2019). The final evaluation of this project can be found here.